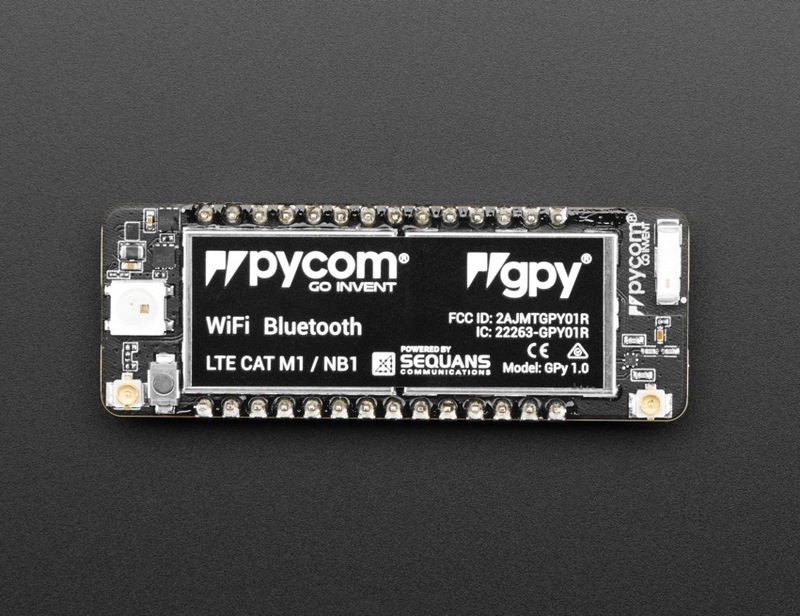 NEW PRODUCT – Pycom GPy – WiFi, Bluetooth LE and LTE-M « Adafruit Industries – Makers, hackers, artists, designers and engineers! 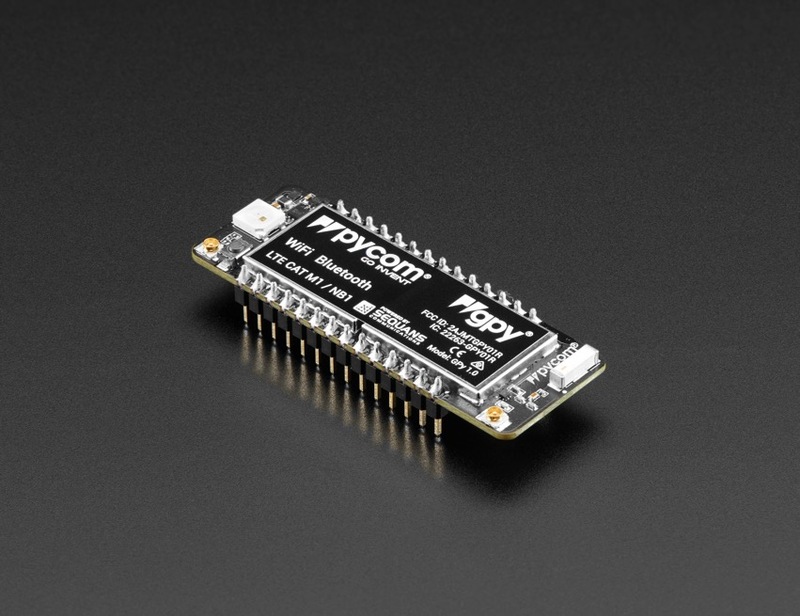 With WiFi, BLE and cellular LTE CAT M1/NB1, the Pycom GPy is a triple-bearer MicroPython enabled micro controller – the perfect enterprise grade IoT platform for your connected Things. Create and connect your things everywhere, fast. 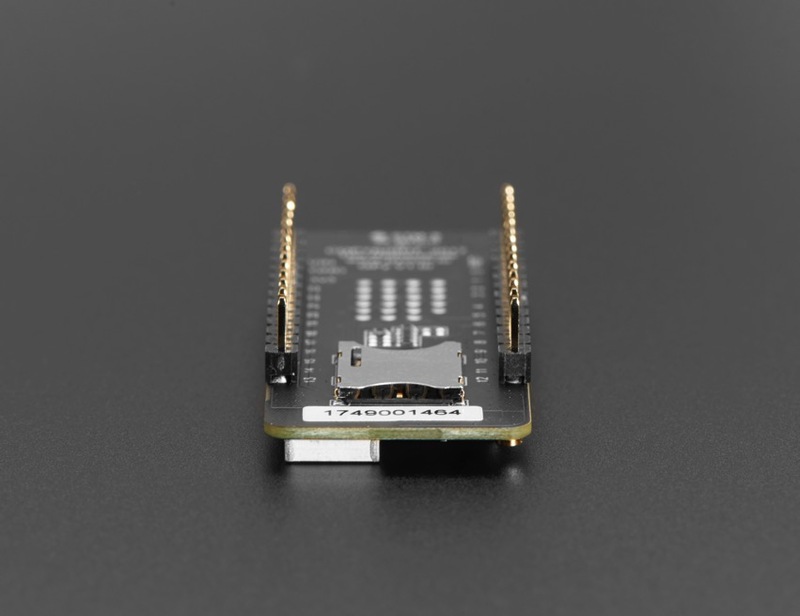 Imagine three networks in one perfectly-formed, same-small-foot-print-as-WiPy-LoPy-FiPy-and-SiPy, IoT development board. MicroPython enabled. GPy includes WiFi, Bluetooth LE and dual LTE-M (CAT M1 and NBIoT). That means you get a hat-trick of low/medium/long range transmports. 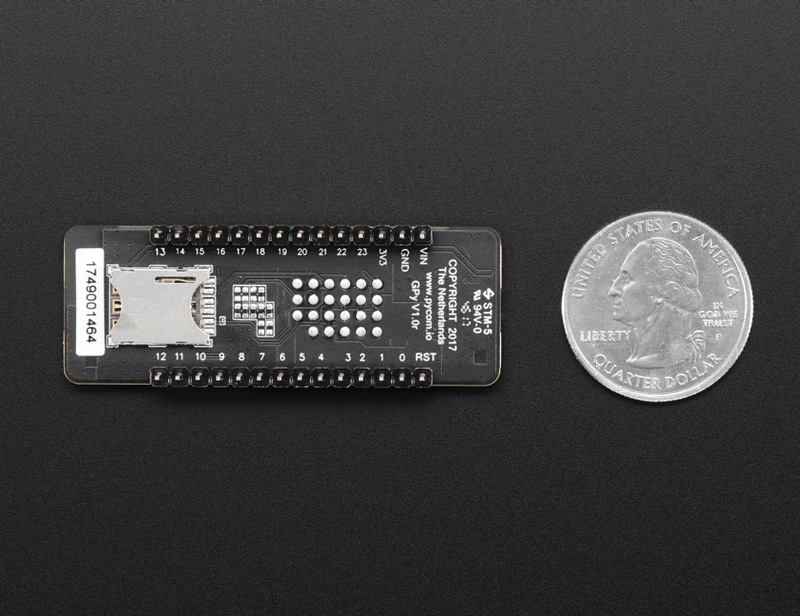 BLE is great for local and mobile communication, WiFi when you want free medium range data, and cellular LTE for use-anywhere long range. Comes with just the dev board. You’ll need an antenna for LTE usage. The WiFi/BLE (which has a ceramic antenna built in). Using LTE/cellular without an antenna can damage the board!